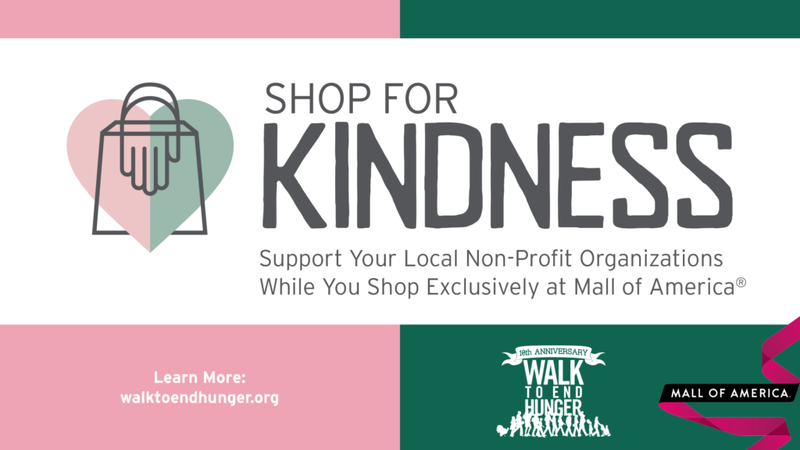 Shop for Kindness - Neighbors Inc.
Start your holiday shopping early with a Shop for Kindness discount card at the Mall of America. One hundred percent of the proceeds benefit the Walk to End Hunger general fund (of which Neighbors receives a portion following the Walk), so it’s a fun and easy way to help #eliMNatehunger! The discount cards are $40 and can be used at the Mall between October 23 and November 6. For more information and a full list of available discounts — or to purchase a card — click here.